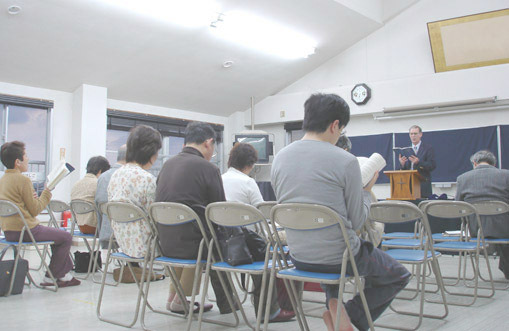 Last Sunday night, we visited our third service of the day. 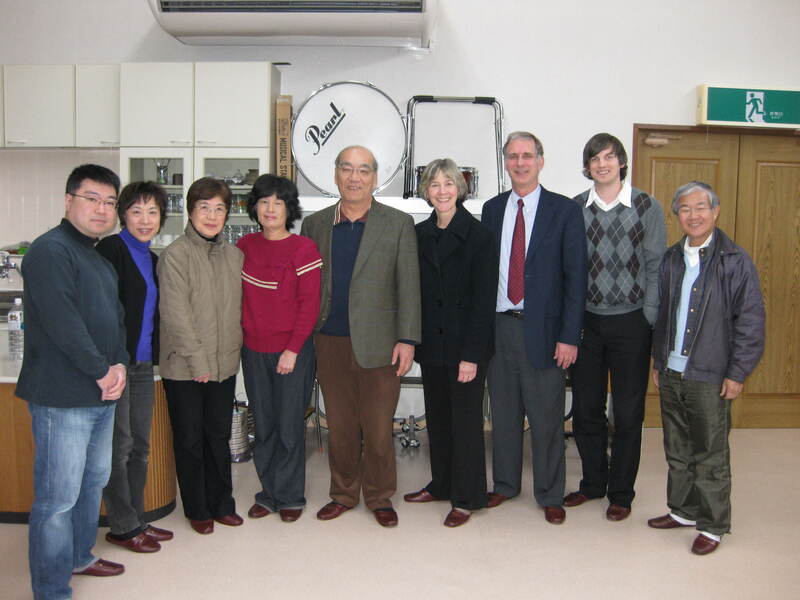 Kuki Grace Christian Church is an hour north of Tokyo and was planted off of International Bible Fellowship (where we visited earlier that day) a few years ago. Jay and Ellen Haworth, ECC missionaries, lead this church that began as a bible study with a few doctors. It is still predominately filled with medical professionals. We imagine that attending a church with your local OB-GYN might be a little uncomfortable for some 🙂 They currently are building relationships in the community through schools and clubs, with a desire to reach young people. With a general lack of young people, this is a key reason why they are eager for us to com and serve alongside of them. We had the opportunity to share our testimonies and preach during the service. We enjoyed weaving our stories and the key verses of our testimonies. Grant shared from Matthew 6:24-33 about following God over wealth and how God provides and cares for us as we follow Him. Miho connected 1 Peter 5:10 to her testimony and how God used that verse to reassure her that God will bring her through her trials and restore her. As people are at different points in their lives, we hope that God used parts of either of our messages to challenge or encourage them.